One year after the historic breakthrough, rapprochement has overwhelming public support—including from the business community. When Secretary of State John Kerry traveled to Cuba last August to raise the Stars and Stripes over the newly reopened US Embassy, his entourage included Carlos Gutierrez, a prominent Cuban-American businessman who served as secretary of commerce in the George W. Bush administration. As part of Bush’s tough-on-Cuba policy, Gutierrez co-chaired the US Commission for Assistance to a Free Cuba, which recommended a comprehensive and aggressive policy of regime change. Given his previous efforts to roll back the Cuban Revolution, Gutierrez would seem the last person who would want to travel to Havana—let alone receive a visa from the Castro government. 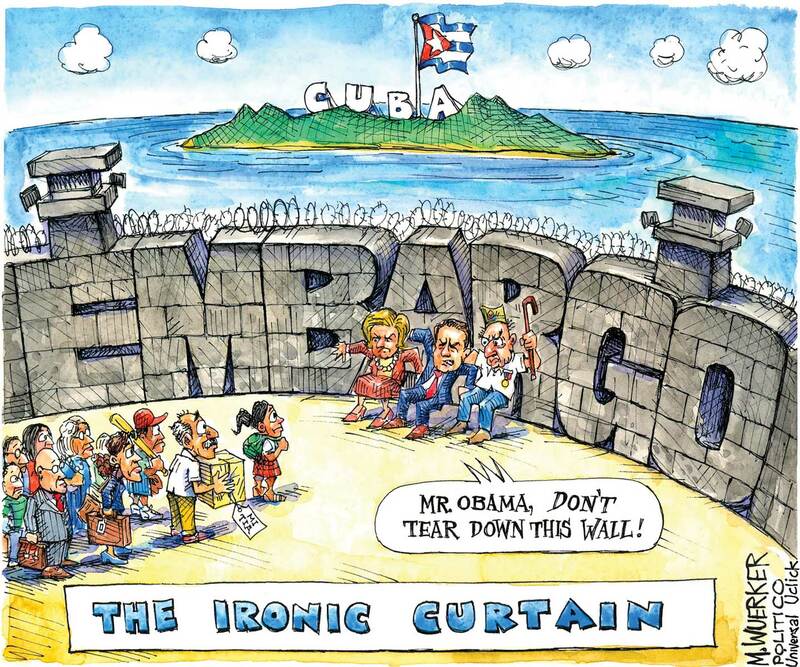 More than 70 percent of Americans support lifting the embargo—and they’re voting with their feet, by traveling there. On the first anniversary of the dramatic breakthrough in US-Cuban relations, key figures like Gutierrez have begun to provide political cover for Republican businesspeople and politicians, whose support will be pivotal to President Obama’s ultimate goal of lifting the US trade embargo and fully normalizing relations. “In Cuba, we are ending a policy that was long past its expiration date,” Obama declared last January during his State of the Union address to Congress, where GOP leaders remain opposed to lifting the decades of economic sanctions and travel restrictions. Over the past year, Obama has employed his executive powers to open the flow of commerce, culture, and travel between the United States and Cuba, advancing his pledge on December 17, 2014, to “cut loose the shackles of the past.” During his last year in office, Obama will attempt to make his historic reconciliation with the Cuban Revolution an irreversible element of US foreign policy. Indeed, the White House has accelerated the pace of bilateral talks with Raúl Castro’s government. In recent weeks, Washington and Havana have signed two new bilateral accords: an environmental collaboration designed to identify and protect marine sanctuaries and coral reefs, and a long-awaited agreement to resume direct postal service. A third agreement, to normalize aviation travel and restore direct flights between the two nations, may be announced soon. 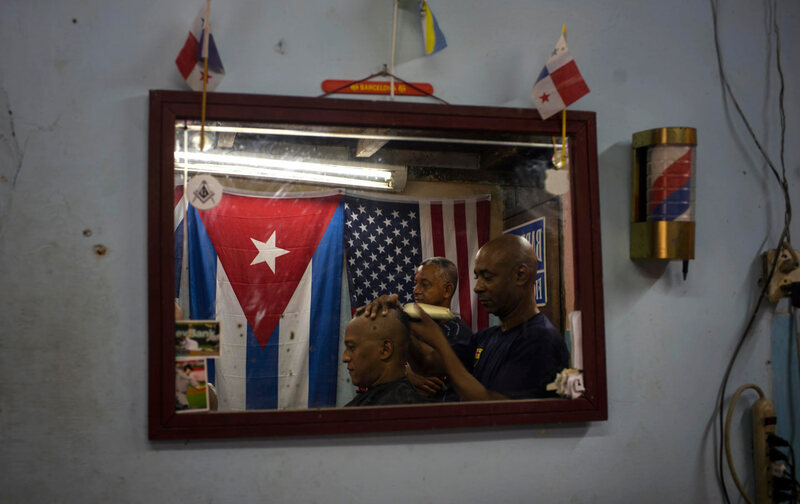 In the 12 months since Castro and Obama stunned the world by announcing a prisoner swap and a new era of diplomatic engagement, there has been a flurry of activity to move toward more normal relations. The two presidents have twice met face-to-face—a historic first meeting at the April Summit of the Americas in Panama, and then in New York during the UN General Assembly in late September. Obama has also talked with Castro on the telephone three times, establishing a bilateral connection at the highest level. § Steadily expanded the potential for US corporate business operations on the island. Indeed, in an effort to circumvent and weaken the embargo, the Obama administration has twice issued new directives to expand travel and trade. The new regulations allow US telecommunications and Internet companies to operate in Cuba; they also allow commercial interests to export more products to the island, import goods from the small but growing Cuban private sector, and, for the first time, establish a physical presence in the country. At Cuba’s international trade fair in November, the Alabama-based tractor company Cleber became the first US firm authorized to trade with Cuba, which will eventually include a distribution center in the industrial-park zone at the newly refurbished port of Mariel. Sprint also signed an accord to provide roaming cell-phone service for US travelers on the island. In January, the Obama administration announced that US travelers, after years of having to carry wads of cash during their visits to Cuba, will finally be able to use debit cards at select hotels and restaurants. Other remnants of the US regime-change policy continue to haunt prospects for fully normalized relations. The 1966 Cuban Adjustment Act, which reduces permanent-residency requirements for Cubans who set foot on US soil, continues to lure thousands of migrants into making the dangerous trek through South and Central America and Mexico. (The fear of setting off a massive migration crisis has led White House officials to remain mute on any future effort to rescind the law.) The Obama administration has been slow to reconfigure the onerous, congressionally mandated “democracy assistance” programs of the US Agency for International Development, which are dedicated to subverting the Castro government. And the White House has yet to address Cuba’s demand for the return of the Guantánamo Bay naval base as a prerequisite for fully normalized relations. Both Castros support reconciliation with the United States if it continues to be carried out with respect for Cuba’s sovereignty. Moreover, US trade and investment are critical to Cuba’s economic modernization, and to Raúl Castro’s plans for what he calls “sustainable socialism.” As he has said more than once of Cuba’s transition to a more market-oriented economy, Cuba must continue its reforms “sin prisa pero sin pausa”—without rushing, but without pause. Havana also understands that the Cuban people are overwhelmingly in favor of reconciliation—and have high hopes that normal ties will improve their difficult daily lives. The widespread celebrations across Havana on December 17, 2014—which Cubans refer to as el 17D—reflected those expectations [see Kornbluh, “Cuba and the US Learn to Dance,” January 12/19, 2015]. In a rare sampling of Cuban public opinion earlier this year, the Miami-based firm Bendixen and Amandi conducted a secret survey on the island. Some 97 percent of those polled believed that better relations would be positive for Cuba. In the United States, Obama’s efforts to change Cuba policy have also proved quite popular. A Pew poll taken last January, right after the breakthrough in relations, found that 66 percent of registered voters supported lifting the embargo; after the official restoration of diplomatic ties in July, that figure rose to 72 percent. In July, a CBS News survey showed that 81 percent of Americans—including 71 percent of Republicans—supported lifting all restrictions on travel. In November, the Atlantic Council released a “heartland” poll of voters in Indiana, Iowa, Ohio, and Tennessee; 68 percent of respondents were in favor of restoring diplomatic relations, with only 26 percent opposed. Under the new, looser rules, US citizens are voting with their feet—and charter-plane tickets—by traveling to Cuba in droves. The State Department estimates that more than 140,000 US citizens have traveled to Cuba this year—a whopping 70 percent increase over travel in 2014. Indeed, the most visible sign of change is the flood of people visiting Cuba—even though it remains technically illegal to travel there for the purpose of tourism. Havana hotels are booked to capacity through next April, and restaurant reservations are hard to come by. On a recent trip to the island, one well-known paladar (private restaurant) called Atelier hosted a large delegation from The Nation on one side of the dining area, an agricultural delegation from Arkansas on the other, and business executives from Taco Bell and McDonald’s in a secluded back room. “I think I speak for the group when I say we all want to see Cuba—before we destroy it,” one member of the Nation delegation, Bill Press, observed. “The diversity of interest is significant,” says Collin Laverty, whose company, Cuba Educational Travel, has enjoyed a 400 percent increase in business since December 2014. Planes once full of Cuban Americans are now ferrying corporate businesspeople, cruise-ship officials, hotel executives, Hollywood producers, scientists, marching bands, business students, chefs, environmentalists, farmers, trade unionists, and politicians, among many others. This past year, the governors of New York, Arkansas, and Texas traveled to Havana accompanied by business leaders in transportation, agriculture, and technology. In mid-December, a Major League Baseball delegation that included players who had defected from Cuba created buzz in Havana. The number of Cubans visiting the United States on cultural- and academic-exchange programs is also on the rise. In November, for example, Airbnb, which has added about 2,000 listings in Cuba to its website, hosted Cuban dancers in New York City. “The talks, the travel, the exchanges, are pushing us toward a normal relationship,” Laverty says. By opening up travel and loosening restrictions on business and commerce, Obama hopes to build a constituency for engagement—including Republican business interests that can readily lobby Congress—and thus safeguard his policy from political enemies seeking to roll it back. Predictably, Cuba policy has become a lightning rod in the 2016 presidential campaign. Ted Cruz, the Cuban-American senator who has surged to the head of the GOP pack in Iowa, has dismissed Obama’s efforts at normalization as “unconditional surrender.” Another Cuban-American candidate, Senator Marco Rubio, has vowed “to unravel as many of these changes as possible.” A Rubio ally, Representative Mario Diaz-Balart, is attempting to quietly insert language into House spending bills that, if accepted, would hamstring further normalization. But proponents of normal relations, including such veteran advocacy groups as the Washington Office on Latin America and the Center for Democracy in the Americas—along with new business-oriented lobbying groups like #CubaNow, the US Agriculture Coalition for Cuba and the US Chamber of Commerce’s US-Cuba Business Council—remain optimistic. Advocates are supporting the Freedom to Travel to Cuba Act, introduced by Republican Senator Jeff Flake, and the Freedom to Export to Cuba Act, sponsored by Democratic Senator Amy Klobuchar, which would largely eliminate the embargo. “This is irreversible,” predicts James Williams, who directs Engage Cuba, a business NGO dedicated to normalization.